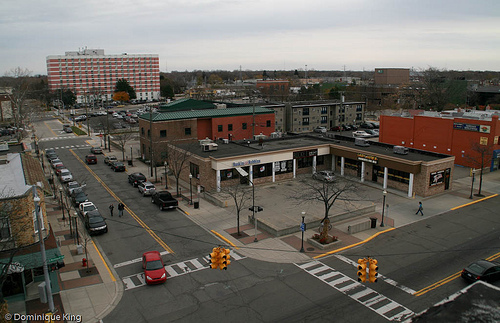 Royal Oak is home to about 30,000 housing units. As there are frequent rains in Royal Oak even during drier months, residential and commercial gutters may suffer from all kinds of damages. Consistent rains may take a toll on gutters. However, as a property owner, you can do something to help solve your problems. Miller’s Home Improvement is a licensed company that specializes in fixing problematic gutters. Reach out to us and we will provide you with the best gutter repair Royal Oak Mi solutions. Looking for the Best Gutter Repair Royal Oak Mi? With over 30 years of industry experience, we have proven to be highly competent when it comes to performing gutter repair services. We combine our expertise with the use of the most advanced tools and equipment as well as premium products. Some property owners may think that gutters can be left on its own for a long period of time. However, this may lead to more destructive damages. Your gutter needs proper repair and maintenance. Period. The role it plays is crucial in keeping rainwater down the roof and away from the structure. We understand the value of an effective gutter system. Hence, we always tell clients to prioritize gutter repairs to make the most out of it and ensure everyone’s safety. In every gutter project that we accept, we are committed to delivering superior results. Whatever gutter problems you may have, do not hesitate to give us a call and we will be there to help fix them professionally.